Thank you Lord Pretender. 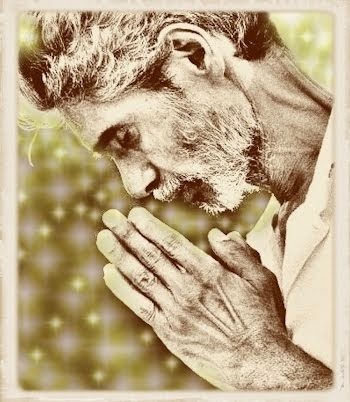 We need the consolation but for many people, this advice is very difficult to take. Dis one is pure reality man. Reality on dis one! Come on! Man, plant a garden, plant a garden! and yuh good to go! Plant a garden, plant a garden! Plant a garden, plant a garden, yes! yuh go ha to eat breadfruit you know, so best yuh plant it one time. a lil bodi and yuh good to go! Come on! Just, plant a garden, plant a garden! This song came out in 1994 and its message was important then and even more urgent today. Trinbagonians on the ground are so fortunate to live in a country where the earth will produce all year round. As food supplies become unreliable and prices increase and as we also become increasingly and justifiably more concerned about the quality/safety of the food which is available, I think that much, much more attention should be paid to encouraging and supporting each other in "Grow Your Own Food" drives. So, if you are fortunate enough to have some land around your home, or a space to accommodate some large containers, take Iwer's advice. If your families are like mine, the Mamas will insist on growing ornamentals and the Papas will protest, "But yuh cyah eat flowers!" and you will have to find the happy medium to satisfy the needs of both bellies and souls. But what of our Trinbagonians who are not fortunate enough to have access to land or even a large outdoor space in which to grow potted plants? We had friends who, having no land of their own, went on land that was vacant (whether crown or private) and established gardens there. We didn't see anything wrong in that, in fact, as far as we were concerned, their labour for their families was heroic and earned only our respect. Here, where I am located today, there are city sponsored community gardens where people who don't have land can apply for access to fenced plots in these gardens. Many people plant vegetables and others fulfill other needs by tending ornamentals. This is an idea, perhaps that could be introduced in Trinbago, in areas where people have no choice but to live in apartment blocks without access to plots of land to grow something. Any move to come between me and my country. As only a true Trini will understand...Ey! Curiously Ringo, I am a cheering fan. Thank you! When he sang "All ah we is one family"
And Sundar Popo was singing "Nana and Nani"
So Panday ent start national unity. And look how we Trinis adopt the Chinese game "Whe-whe"
Is a Chinee hide him in a Indian house in Caroni...unity! That's what I call national unity...I lie? You forget is me, Chalkie, who sang "Ram Kirpalani"
So Panday ent start national unity...Is all ah we! How could some place so good turn out so bad? Where is the love in this land that we once had? Who would ever try to put all these wrongs right? What in the world are we really coming to? Where do we go from here, what are we going to do? Somebody thieving the soul ah mih nation. unless of course, it is mandated by the will (or lack thereof) of the people. I ain't staying quiet again… No! That brought you to rule this land once more? But now we more corrupt than before... Lord! We have nothing to say 'bout dem...Lord! The power of any land resides in the people’s hands...That’s it. Somebody up in Whitehall must be joking! Down with dem! What ah say? Down with dem, down with dem! Still everywhere I run they following me. So he going Robert Street to look for Josephine. 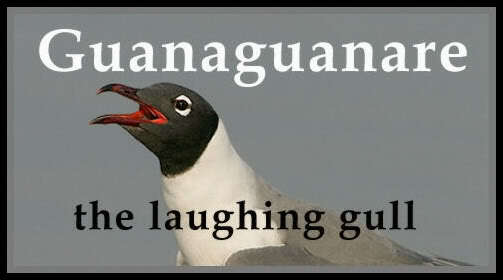 A man across the road cussin’ he for blasphemy. Or the next one who can't see the Lord in someone else. Leve, leve, mete lumiere bay Congo Bara. Congo Bara Leve, leve, mete lumiere bay Congo Bara. So how come now they digging blues? What has always moved me about this song is the repetition of the line, "Trinidad is nice, Trinidad is a paradise." It sends chills down my spine every time. I can listen to this song over and over and over in one sitting without tiring and when I leave it, it is only because there are other demands on my time. For me, it invokes such a compelling mix of views - the actuality, the potential, la vie macabre or danse macabre of denial and stumbling persistence in the face of destruction, intimations of doom, farewell to innocence, recollections of The Garden...all of these washing over me in slow waves in the pathos of that laconic, sardonic, surrendered, sarcastic, hopeful? regretful, poignant refrain, "Trinidad is nice, Trinidad is a paradise." I believe with all my heart that Trinbago is a paradise. It is a beautiful place. That is just a fact of nature. It stands, in what is left of its natural state, still waiting with its arms brimming with everything that its inhabitants could ever need to sustain life - a good life. But we have always wanted more or been taught to want MORE and it is the how and the why and the consequences of the attainment of this "more" that we have seldom questioned. 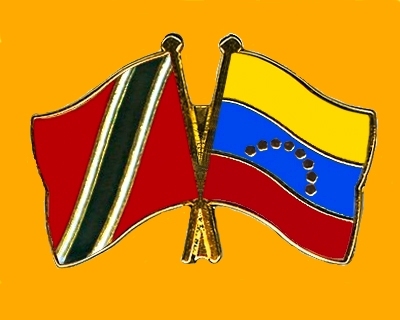 I do not think that many of us really SEE Trinbago but I do believe that people must, for their survival, be made more aware of the very real connection between our relationship with this land and our relations with each other and how these are determining our relations with the future ahead. We have to start planting the seeds today. It has to be learned from childhood as I learned from my own parents that Trinbago as it stands, needs no improvement. It is our relationship with it that is flawed. Thank you, Brother Valentino, for this amazing song! "We grant you [Kings of Spain and Portugal] by these present documents, with our Apostolic Authority, full and free permission to invade, search out, capture, and subjugate the Saracens and pagans and any other unbelievers and enemies of Christ wherever they may be, as well as their kingdoms, duchies, counties, principalities, and other property [...] and to reduce their persons into perpetual slavery." You can see why this Bull has been credited with ushering in the African slave trade. The scope was extended to the Americas in 1493 by Pope Alexander VI with Inter Caetera. This is just one illustration of the Church's undisguised enthusiasm in the past for the claiming of persons' souls AND their property for its own benefit and that of its allies, and all in the name of God. Is something changing though? Back in May of this year, I read the news that the Vatican chief astronomer, Father Jose Gabriel Funes, was acknowledging the possibility of the existence of intelligent alien beings. This was actually not the first time that the such declarations have come from the Church that once condemned Galileo. 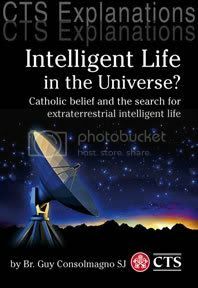 The booklet "Intelligent Life in the Universe" featured above, and which I have not yet read, was published in 2005 by another Vatican astronomer, Guy Consolmagno. His conclusions are that mankind is facing a future discovery of extraterrestrial intelligence. Similar disclosures were made in the past by Monsignor Corrado Balducci and Catholic theologian Father Malachi Martin. Many Catholics, whether practising or recovering, had already accepted this probability so the information had already been received. What is frustrating for this observer is trying, with imperfect information, to figure out what is behind these public announcements and the book published by the Catholic Truth Society. We all know that everything that comes or does not come out of that institution, is carefully timed and choreographed and has to be vetted by this and that theocrat or group of theocrats. There is a right time and a wrong time, a right way and a wrong way in which, for example, to apologise to its many victims over time. So why is this a good time to be talking about aliens?...and in such generous terms? Why is the Church wooing the beings almost as if it has been told that it will soon have to accommodate the ET's...not only as equals but possibly as our superiors! Clearly, there is not another Papal Bull on the drawing board. If The Church had been planning to draw another line, this time across the heavens to divide up the universe and claim the new heathens and their territories in the name of God, it has now put that plan on the back burner. Instead, the newsflash is entertaining the idea that these aliens might be SUPERIOR and might NOT be in need of REDEMPTION, and could even be FREE OF ORIGINAL SIN. Is the Church "taking in front" because it is anxious to be seen as thinking outside of the box and being broad-minded enough to keep up with the times, to absorb scientific discoveries, especially after that embarrassing business with Galileo? Does the Church "know something"...or has the Church always known something that we don't know, or is that just the impression that it wants us to have. If the Church does know something, what is it, and how and when was it discovered? Is it true then that the Bible itself contains descriptions of alien life and technology? Is the Church finally waking up and smelling Ezekiel's wheel. And what has the Church been doing sinking all these resources into these impressive observatories in Italy and Arizona to study the skies? Why is this research group directly supported by the Vatican? --What if some of these alien races are hermaphrodites? Will only the male parts be ordained? --And what if a male alien were to have a child with a female human? Would that child be born "partly" without original sin?...Would it be the top or the bottom half of the halfbreed child that would stand in need of baptism and conversion? --What if the aliens were to look like lizards and walk like lizards and embrace with joy the lizards on earth as their long-lost brothers? Would that association change the status of the earth lizards' souls? Is the Church so desperate to increase the membership that it wants first dibs at welcoming alien life into the fold? OR, assuming that human beings arrived on this planet and have made scientific leaps only through alien intervention, is the Church now afraid of the grilling that it is going to get from its extraterrestrial overlords about how well over time, it has impacted the intelligent and humane evolution of mankind. That Bull, Inter Caetera has not yet been repealed. The Church is not even close to concluding the long list of apologies that its earthling victims, both dead and alive, are awaiting. Its human members, meanwhile, are doing a grassroots downsizing by jumping off the mother ship in droves. There is a now a shortage of priests and churches are being closed. You'd think that this Church would be paying more attention to fixing its business here on earth than to over-extending itself to alien territory. Update: The year after this was posted, the Vatican hosted a conference of over 30 astronomers, biologists, geologists and religious leaders to discuss the question of the existence of extraterrestrials. This event ran from November 6-11, 2009, and was put on by the Pontifical Academy of Sciences at the Casina Pio IV on the Vatican grounds. The Bajan say, "Look, Trini, let we make a cook. Then we going both have something to eat." The Bajan decide to pull a fast one. I going give you a word of advice, "Take your meat out mih rice!" Trini got in a big rage, "What wrong with you, Baje? I going tell you flat, Baje, I ain't taking that! I put mih last penny in this meat and I ain't moving until I eat." You put in a ten-cents meat bone, you think that is nice? Well don't make me have to tell you twice, "Take your meat out mih rice!" The Bajan then said to Trini, "Man don't tell lies on me. I never told you that we going join and cook up in two. What I mention, I can repeat, I said to lend me a piece of meat." Trini so vex, he begin to cry, "Baje, in front mih eye you telling a lie?" But when come to the occasion, man I die fuh right. Yuh put in a nine-cents meat bone, good lord, you want half a slice? If you don't want a Bajan ice, "Take your meat out mih rice!" The Bajan say, "No no, no, never happen so! But if you add one grain of rice, by christ, I squeeze yuh throat like a vise." Before I squeeze you like -------, "Take your meat out mih rice!" Source: The lyrics posted on this blog are transcribed directly from performances. Although it is my intention to faithfully transcribe, I do not get all the words and I have a knack for hearing the wrong thing. Please feel free to correct me or to fill in the words that I miss by dropping me a message via e-mail. I'd be forever grateful. Thanks in advance! Thank you, Lord Kitchener! I love how Kitchener thought as the song progressed to consistently lower the price of the meat to further illustrate Baje's attempts to minimise Trini's contribution to the meal. Listen to Robert Mitchum's rendition (My favourite) I like especially the chuckle in his voice when he sings the line, "She's calling somebody else doudou"
...But You Did Not Die. "The condition of the Amerindians was very inferior to that of the slaves. The slaves were protected by the humanity code which governed them, and by the interest which their owners had for their welfare. One could almost see them prospering and multiplying, whereas the Indians, relegated to the four missions of Arima, Toco, Siparia and Savana Grande, then far away from any populated area, lived under the rule and pleasure of an all-powerful magistrate and a curate of doctrine, and decreased and diminished in numbers day by day. Under this oppressive rule, the sons of our proud and hardy islanders who had rebelled against the Spanish conquest, were disappearing little by little from the land in which their ancestors had been lords and masters. They were already reduced to the insignificant number of about one thousand souls, and they had fallen into such a state of abject degradation, that one can say without exaggeration, that they retained only the external appearances of men. They had become beasts of burden who found no pleasure except in drunkenness and promiscuity. So brutalised, they contributed nothing to public prosperity." Is a part they come out to play. And according to the part that you play, the Master go pay. Plenty women go bawl when the curtain fall. And for creating a big impression, is a Trinidadian. And as they say, "The show must go on." I focus on the satirical aspects to overlook the worrying fatalism and sometimes misogynistic tone. Although this song has always left me with feelings of sadness, I still must thank Brother Valentino for his creativity.